The industry is full of success stories and valuations worth millions and billions of dollars; WeWork recently hit a $20 billion valuation and Regus, the world’s largest provider of flexible workplaces, now operates more than 2,300 business centers in over 106 countries, including Barbados where it boasts a 90% occupancy rate. 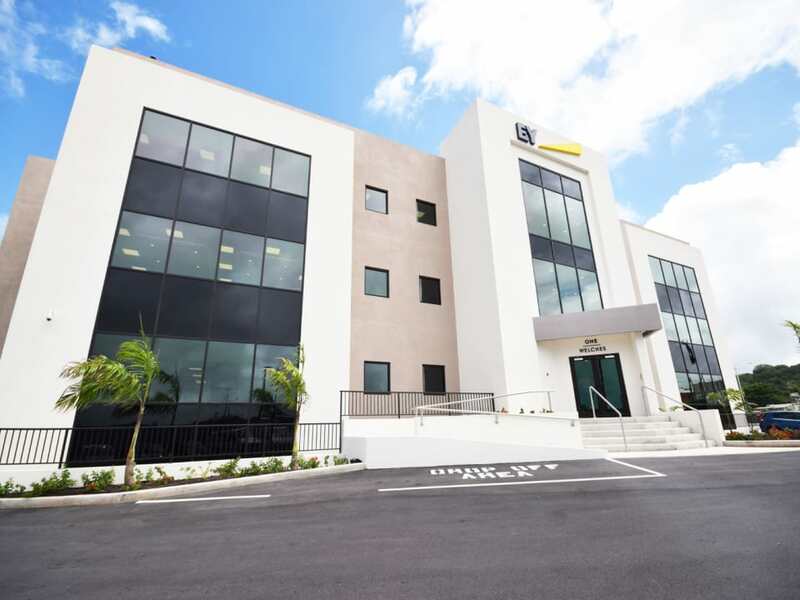 Regus’ opening in Barbados signaled the arrival of the modern co-working space, however the concept started here back in the 1990s with The Corporate Centre on Bay Street offering serviced offices. One of the greatest drivers of this trend is the entry of millennials in the workforce. The 9 to 5 static and archaic work culture is being dismantled and the rigidity of traditional office structures is becoming a thing of the past. Corporate hierarchies and social norms in business interactions are being redefined and opportunities for collaborative work, individual expression and a greater work-life balance are being embraced - including greater mobility and virtual connectivity. 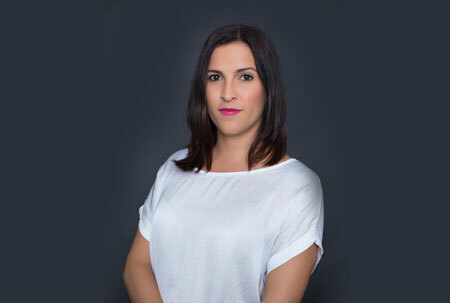 This is a huge asset to tenants who do not want to deal with the frustration of long term leases, iron clad contracts or moving expenses, that include set-up costs such as telephone, internet, electricity and physical plant preparation. Facilities such as Regus remove the logistical and financial burden of a reception, call centres, mail handling, utility payments, cleaning and maintenance. Perks such as coffee, printing facilities and lunchrooms provide an added benefit. With shared office space, tenants benefit from the ability to rent a space for days or months at a time. At Regus, a tenant can begin with a space in the open business lounge and eventually upgrade to a two-person office. With continued expansion, or if colleagues are visiting from remote offices, additional space can be booked for a specified duration. At Servcorp, tenants are provided with premium five-star office space that can range from virtual offices to co-working spaces and executive suites. For international businesses, membership programs such as that offered by Regus provide remote workers with access to a global network of locations. 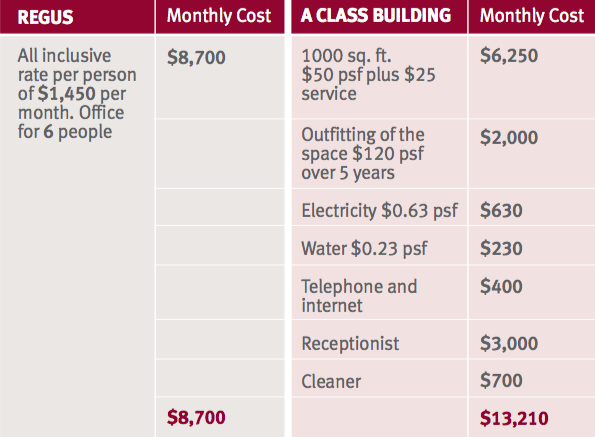 A-Class office space in a prime location in Barbados comes at a premium, which may be out of a typical tenant’s price range, especially in the case of a small business or an early-stage bootstrapped start-up. The shared office movement is building momentum and is expected to skyrocket locally and within the region. It is no surprise that Regus has recently opened an additional office in Trinidad and is expanding regionally to Guyana and Jamaica. Landlords and property owners have also caught on to the convenience of being relieved of the burden of customizing office spaces to suit individual tenants. A few local commercial property owners offer excess vacant space to consumers in a similar fashion to modern co-working models. WeWork has benefited from this trend on a global scale. tenants’ work and lifestyle needs by creating dynamic, inspiring and collaborative environments that allow for mobility, creativity and enhanced interaction among workers. As more collaborative office layouts and open spaces take hold, dedicated office spaces will shrink. This has vast implications for commercial property owners, developers and designers who are outfitting and retrofitting the office buildings of the future.